Troy Cook is looking to earn the starting job. MEMPHIS, TN (WMC) - Less than a month to go until professional football returns to Memphis. 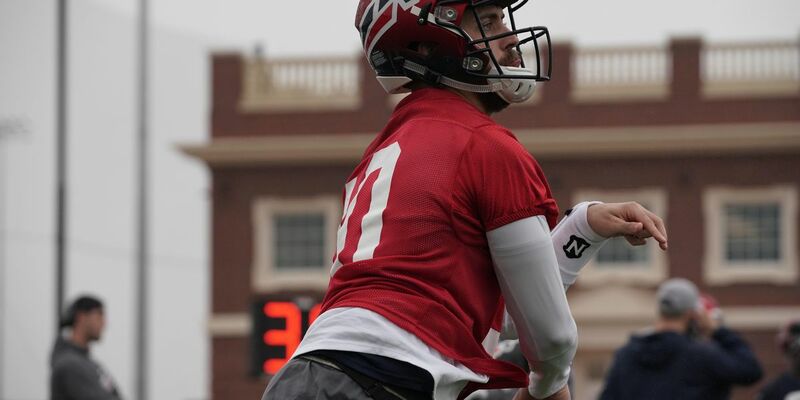 The Memphis Express are in San Antonio right shaping their roster in the Alliance of American Football league wide training camp. The battle for the starting quarterback position is heating up. Word from practice Wednesday is Christian Hackenberg and Troy Cook showed the most in the battle for QB1. It’s a four way competition right now featuring Hackerberg, formerly of the New York Jets; Cook, who played at UT Martin; Zach Mettenberger, who played for the Tennessee Titans; and Brandon Silvers, who played at Troy. Head Coach Mike Singletary is putting them all to work. Troy Cook was the team’s first pick in the “Protect or Pick QB Draft.” He’s savoring the chance at competition. The Express continue training camp this week with joint practices against the Atlanta Legends on Thursday and Salt Lake Stallions on Friday. Memphis kicks off the Inaugural Alliance of American Football League season February 10 at the Birmingham Iron. The Home Opener is February 16 against the Arizona Hot Shots at the Liberty Bowl.